Meghan has studied movement her entire life. She began dancing at the age of 4 and studying the Martial Art form of Chikara De Heiwa at the age of 9. Meghan graduated from Montclair State University with a Bachelor of Fine Arts Degree in Dance with a minor in Psychology. Throughout her university training she performed in many semi-professional Dance performances. Her senior year and first year out of university, she performed in two professional performances in Philadelphia at the Kumquat and Wilma Theaters. Dancing and Karate led her to Yoga. She began studying Yoga intensely through Kripalu Yoga School, and with her knowledge of kinesiology and anatomy she was able to excel. She obtained her 200-hour teaching certification in 2002. Within one year she was teaching Yoga in New Jersey and New York City. She continued her Yoga training and obtained her certification of Yoga Ed. K-8 and Sonia Sumar’s ‘Yoga for the Special Child’. She brought Yoga to the Ventnor City educational system in 2006 and taught two classes a day to the school students at an after school program. She is currently a guest teacher at the Greater Egg Harbor Regional High School District, leading the high school students through a Yoga session once a year. She has been able to give back to the students through this program since 2006. Her love of moving the body through space has led her to develop her classes in an artful manner by linking the asanas or postures together to create a seamless flow. Sometimes the asanas are held, sometimes it is a continuous flow, but whether holding or flowing, there is always a seamless transition from start to finish. Each class is well thought out, created and then choreographed. In 2007 she moved to the island of Maui to fulfill her water woman dreams and began teaching in Kihei. She opened a beach business called ‘Yoga by the Beach’ in December of 2007. In December of 2009 she opened a yoga studio in Kihei called Kihei Yoga Center, and dedicated her life to the studio for nine years before closing the doors. 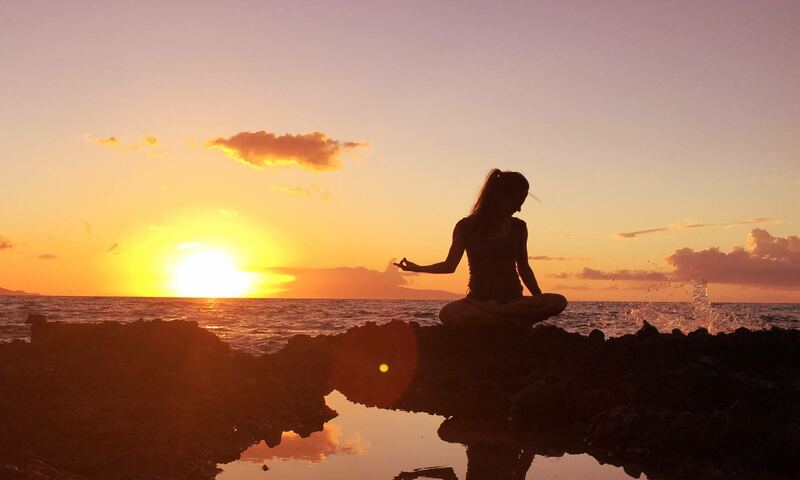 Currently she teaches privates and leads private Yoga tours on the island of Maui.